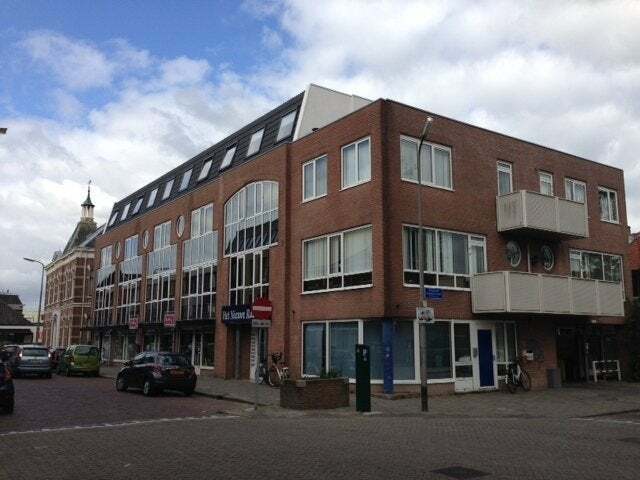 2 bedroom apartment on the 3rd floor of the building van 'Het nieuwe Raadhuis' this property is located at the Raadhuisstraat in Alphen aan den Rijn. Classification: Joint entréee, stairs to 3rd floor. Entrance apartment, living room with open kitchen v.v. sink, faucet and gas. V.v. the bathroom toilet, sink, shower and radiator. The bedroom is next to the bathroom. The apartment has its own boiler and meter. Each apartment also has a private covered parking on the ground floor private (closed area).